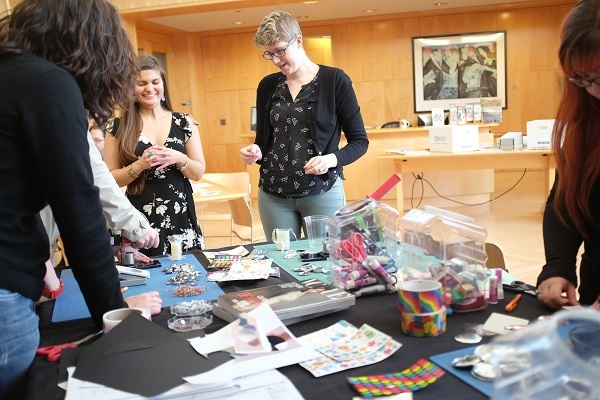 Today, OSQA was in the spotlight for a Collections at the Center event. 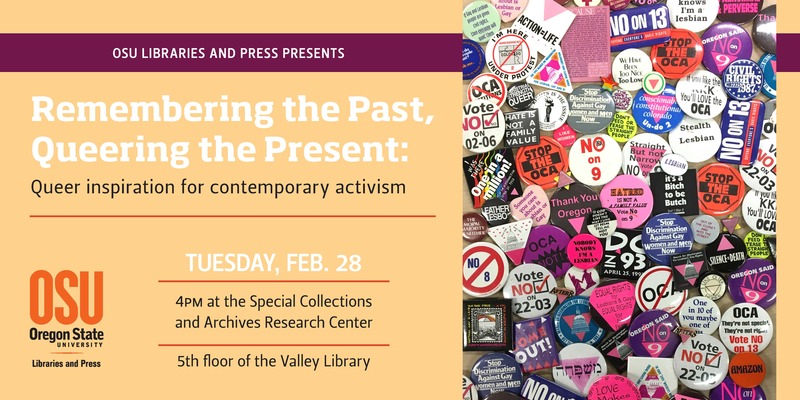 Students, faculty, and staff of Oregon State, as well as local community members, joined us in an exploration of local activist histories as queer inspiration for contemporary activism. 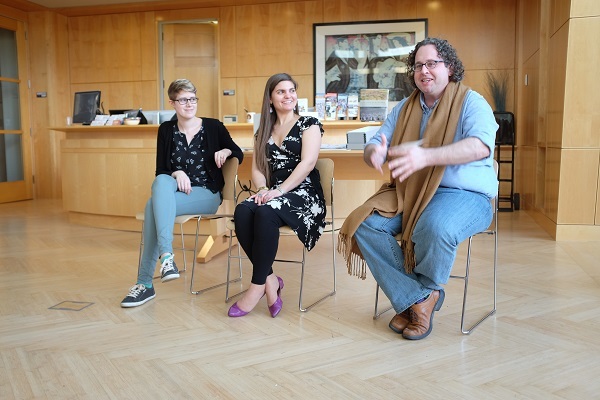 Dr. Bradley Boovy, Natalia Fernández, and WGSS master’s student Vanessa Vanderzee led a short introduction about After 8, an organization established in Benton County in the 1990s in support of LGBT rights. 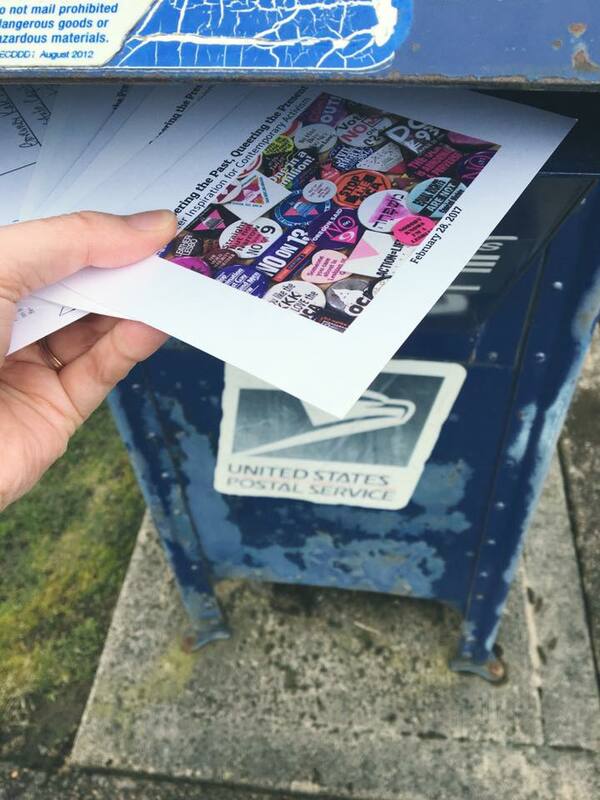 The After 8 collection is OSQA’s newest addition, and contains materials documenting the groups political work and community outreach. 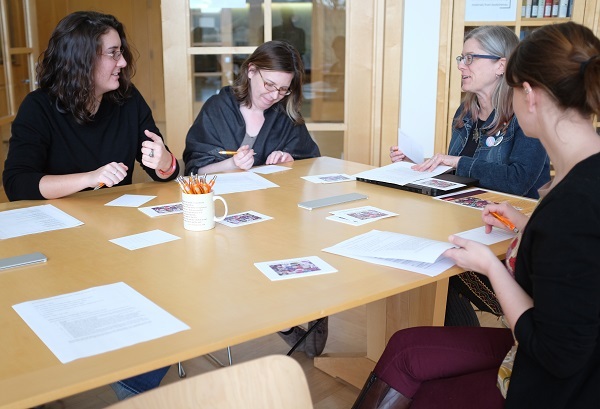 After the introduction and a brief Q&A, attendees got to work making activist buttons and writing postcards to local government officials to continue and build upon After 8’s commitment to LGBTQ+ rights. Some photo highlights of the event can be found below (Check out the flickr set for more images). This entry was posted in OMA and tagged OSQA. Bookmark the permalink.